Chamlian Armenian Club Visits Community Centers Across Los Angeles! 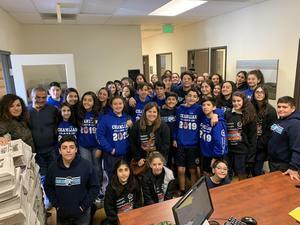 Chamlian Armenian Club students visited Armenian community centers around Los Angeles. The students had a unique opportunity to meet the leaders of today and get familiar with organizations that they can be involved with.